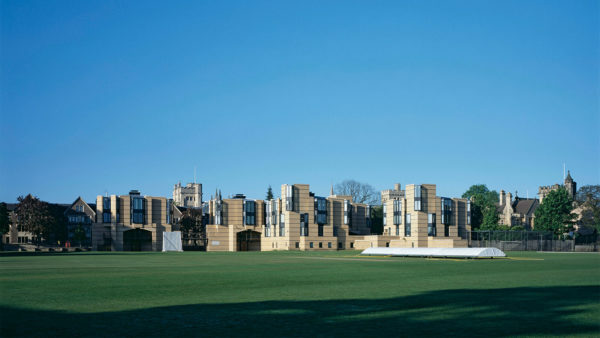 Our building for Balliol College accommodates student residences and public rooms on the edge of the College’s sports field and on the periphery of the historic city centre. 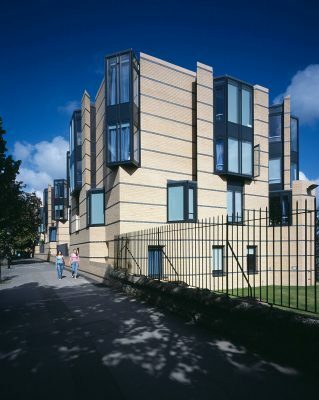 Our design had to allow for a phased development, with Phase I fulfilling the College’s immediate requirements (Phase II has now been completed). The scheme had to be flexible enough to allow possible changes to the brief for future phases. 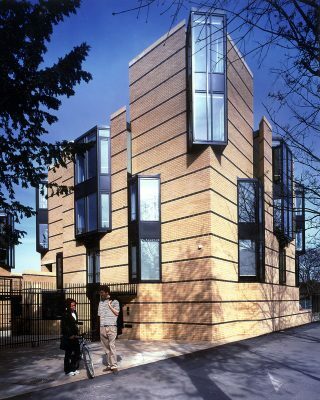 The solution consists of a series of linked pavilions that reflect the suburban residential character of the area, rather than the quadrangles of medieval Oxford. 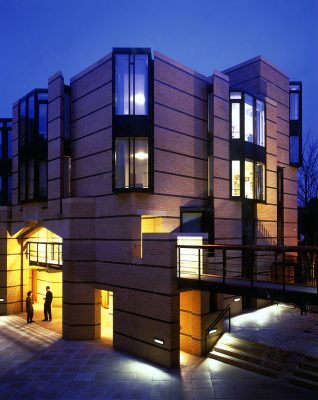 The use of discrete pavilions allows the required phasing of the development. 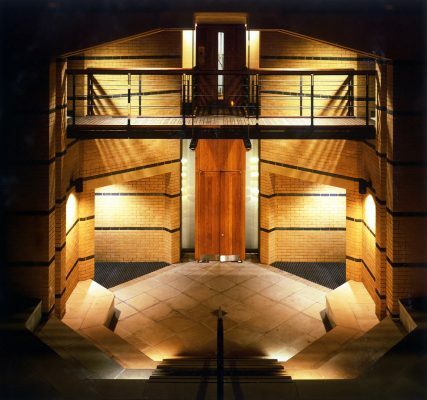 Public rooms are on the lower ground floor with a separate circulation system, and include a student theatre, porter’s lodge, seminar rooms and laundry. Above the public rooms, three storeys of residential accommodation are connected by a system of bridges. 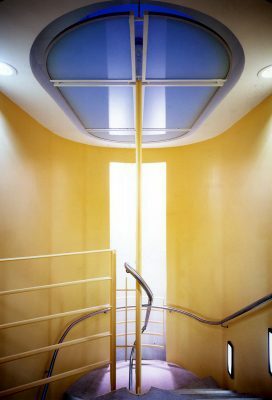 Each pavilion has its own staircase, serving groups of seven study bedrooms on each floor, which share a kitchen/dining room. 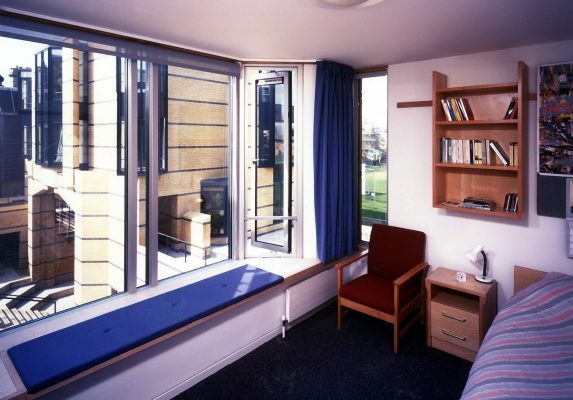 Each study bedroom has an en-suite shower and WC.